11.12.2013. (Hvino News). 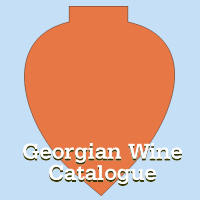 This year's Media Rating of Georgian Wine Companies became known today. For the second time Hvino News prepares its analytic report, which is now based on 20 months of our global media monitoring. 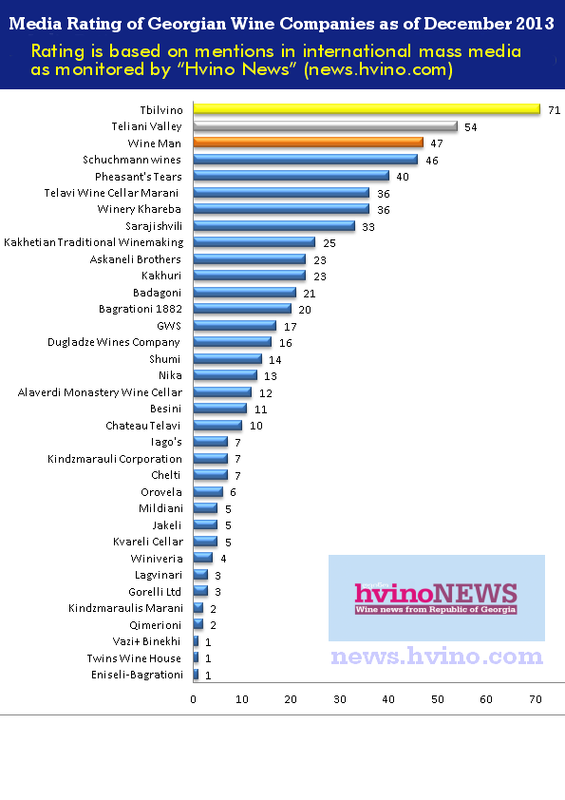 Compared to 2012's data, both leaders - Tbilvino and Teliani Valley - have confirmed their strong position in the media, as they keep their Gold and Silver positions respectively for the second year in row. The Bronze shifted from Pheasant's Tears to Wine Man. Wine Man showed excellent progress from the 7th position in 2012 to the Top-3 in 2013! 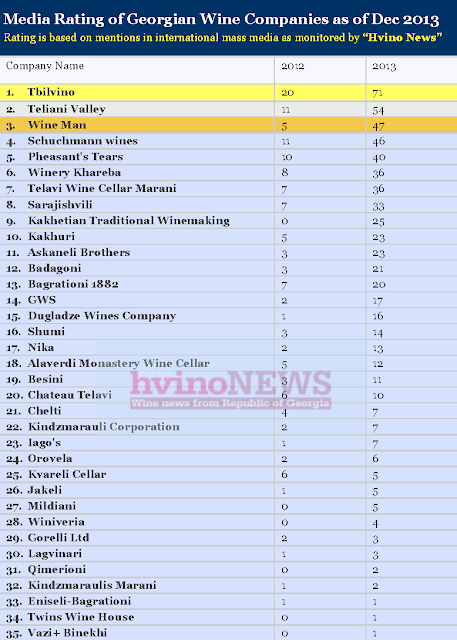 Shuchmann Wines, who shared Silver in 2012, went down to 4th place, but with just a minimal gap. The number of mentions of other companies can be seen from the tables (Click on the images to enlarge). 2012's Media Rating results can be found here. Our media data includes both the international English-language media monitoring and the articles published by Hvino News under its own copyright. Hvino News was the first to conduct regular media analysis of Georgian wine industry.